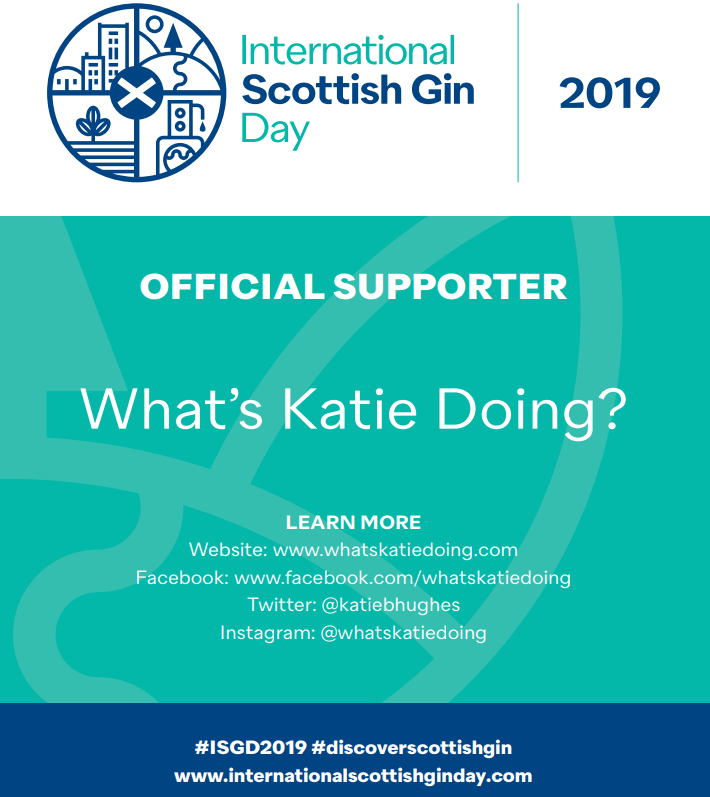 Ish gin tasting - What's Katie Doing? 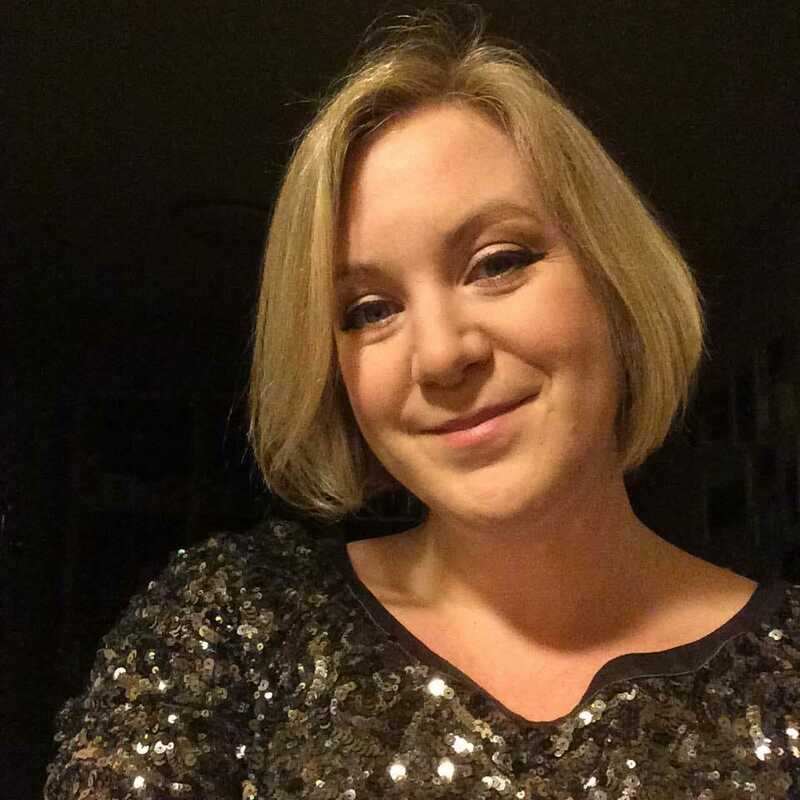 One of my favourite gin bars – the Oliver Conquest, regularly hosts gin tasting evenings to promote new and unusual gins that they stock (they have over 300 gins currently – so plenty to try!). 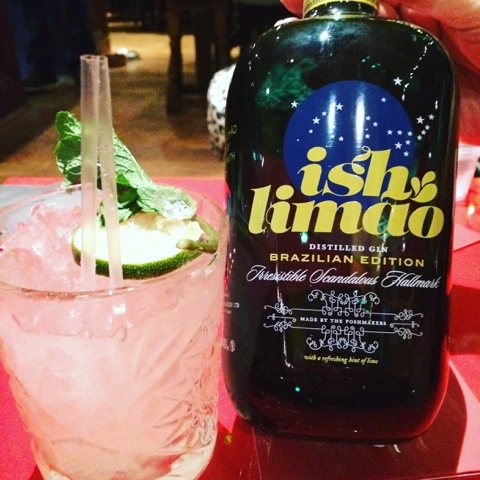 For November there is a double whammy gin tasting – with Ish and Copperhead – so obviously I dragged some people along to try Ish gin and their new launch of Limao. Now Gin Club with a Reading Problem has tried Ish before – the red bottle is the classic London Dry style, but super charged with a double dose of juniper. The aim of the makers was to produce a gin that would stand up to a higher dilution in hot countries – e.g. The birthplace of the balloon glass serve in Spain. The gin is distilled five times and the main botanicals are lemon and orange peel, cinnamon, almonds and of course the juniper!! 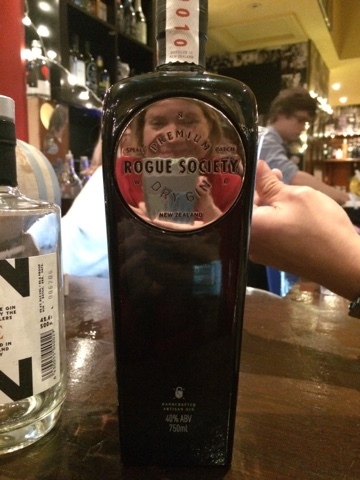 Gin club thought that Ish had a viscous mouth feel – coming from the citrus oils and also the extra juniper. At 41% diluting it with tonic and ice doesn’t take much from the flavour! 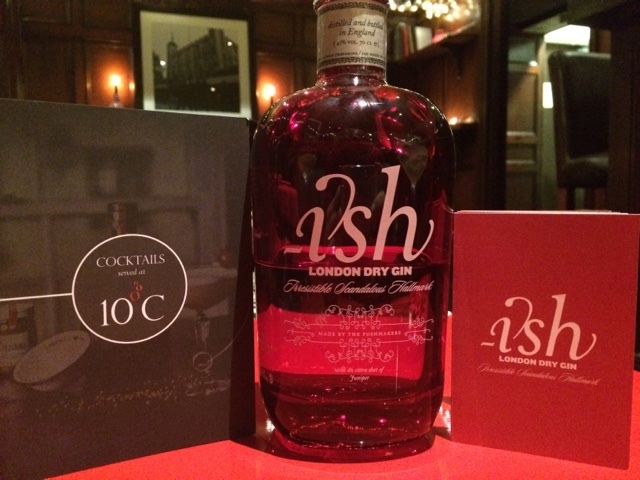 Ish is distilled at Thames distillers, one of the oldest distilleries in London. They make small batches of gin for different people – that’s if 400 litres counts as small for you! 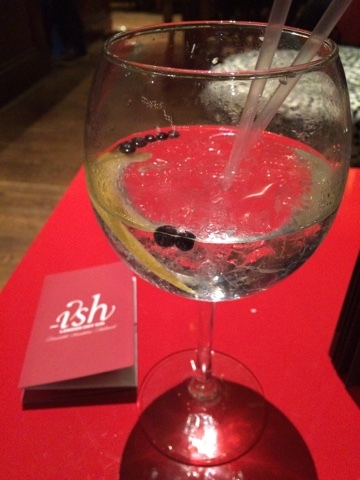 Ish is also recommended as a great wet martini – the concentrated juniper flavour allows for a higher amount of vermouth to be added. David’s recipe is 50ml of their London dry, and 15-20ml of Noilly Prat. Inspired by citrus heavy gins such as Tanqueray and Rangpur, Ish produced their own interpretation. With powdered bay leaf and ginger added after maceration and then Brazilian lime oils added post distillation, there is a depth of flavour and lots of body, not just a one hit lime on the nose! The base recipe and process is the same as the London Dry – five times distilled with twice the amount of juniper. 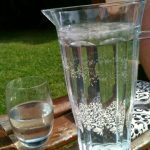 I found that this was incredibly limey on the nose – almost Rowntree fruit pastille flavour, and lots of spice in the mouth, and it worked great in the twisted gin caipirinha. Mix it up and try in a mojito too! Top tip for making a Ish limed caipirinha – reduce the lime and make sure you add sugar! A great edition to any cocktail cupboard! 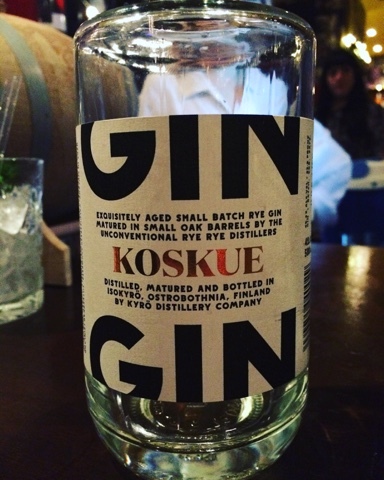 I did get to try the Koskue rye aged gin – a superbly smooth gin with great flavour from the rye and the oak barrels it’s aged in – I would recommend trying this if you like whisky flavours, but it’s not overpoweringly strong. 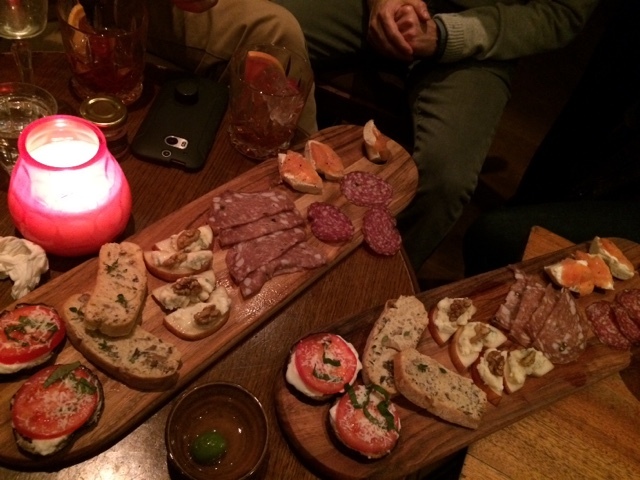 It’s a great substitute for the twisted classic cocktails and would add an interesting layer to a Negroni. 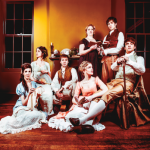 They also have some special events where for £25 you can meet the makers, get two cocktails and snacks and chat gin all night – check out the Oliver Conquest website for more details & to reserve a space. The next (free) gin tasting at the Oilver Conquest is the Copperhead gin one on the 24th November – contact them to save a space and see you at the upstairs bar!